The majority of this information can also be found here, but I include pictures to make it easier to understand. 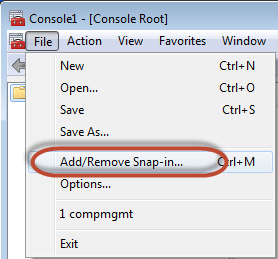 This describes one setting and how to make that setting apply to everyone on the computer except one user. In this case: “Removable disks: Deny read access” needs to apply to everyone except farzinkanzi. We want to set a policy to prevent everyone from reading USB drives. So start an MMC by typing MMC at the run. 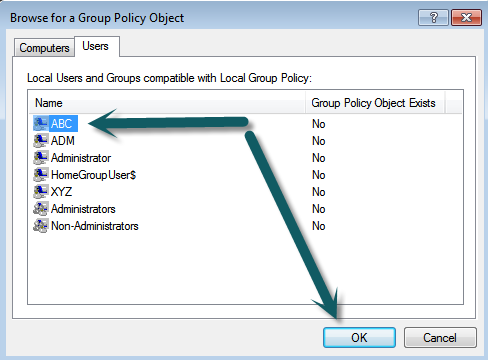 On the “Browse for group Policy Object” Screen, make sure ABC is highlighted then click OK.
First we will set the policy for all users of the computer. Navigate to “User Configuration\Administrative Templates\System\Removable Storage Access” Make sure you use USER and not Computer. 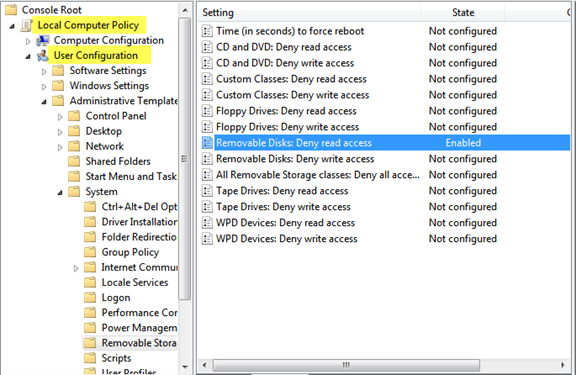 Here you will find the setting for “Removable disks: Deny read access” set this to enabled. And user ABC would have access to read to Removable Drives, because the deny would be disabled. This is also how you would set a policy to only one user. The version of Windows required is Professional or better, this will not work with any version of Home or Starter. You can still make these types of changes on Home and Starter but its much harder as you would have to edit the registry directly. I got an e-mail yesterday from a Microsoft employee, thanks Tim. The e-mail was about KB2532445-v2, having to do with Office macros and AppLocker. Not really sure how this applies to what I reported here, but the hotfix he gave me worked. After Applying the hotfix the rules no longer gave the error and office worked as expected.